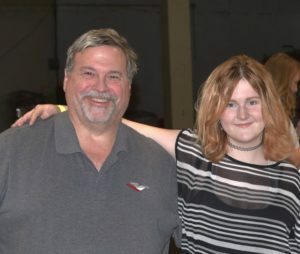 Mia (11), the grandaughter of Deb and Bill Bowman, decided to shave her head to raise money to help kids with cancer. To date, she has raised over $700. At the Pediateric Cancer event, there was a yoga instructor providing free yoga and an artist doing face painting, wellness coaching, and 2-3 pop-up food vendors serving up delicious cuisine for purchase. The event was a really good time with fun people and some random activities. Below are the before and after pictures of Mia! 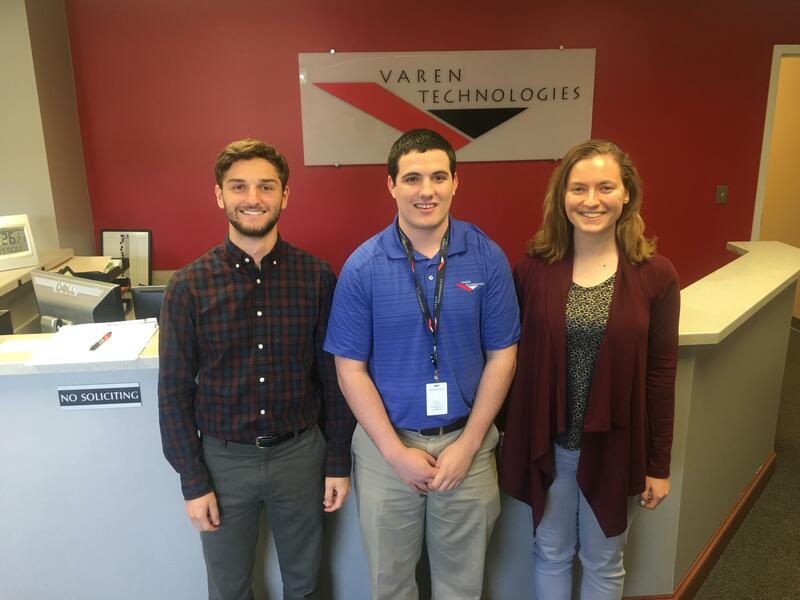 The internship program at Varen Technologies is a summer long program that focuses on front end and back end software development for college students pursuing computer science as career. The program has been active for three years now with a growing number of participating interns each year. Each year the interns complete tasks and projects while working as a team to accomplish common goals. Projects are assigned based on the needs of the company and/or building experience working with different tools. Learning sessions and discussions are also offered by current employees to educate what it takes to work in the industry including the ability to present and public speaking. Interns must be in an accredited college or university to apply. This is a paid internship on an hourly rate. Through the internship program, Varen also uses this opportunity to recruit young talent to join the company. After completing the internship for consecutive years, interns can be offered the opportunity to start the process for clearances and work on a contract for the company. This is an excellent opportunity for students looking for possible job security and acquisition post-college. This year the program has five participating interns: 3 developers, 1 project manager, and 1 in human resources and public relations. Projects completed include active use of various tools and programs. May 2018: Team continues to make positive impacts on the nation’s cybersecurity. Varen welcomes Beth Michalak as Chief Financial Officer. Beth is a Senior Level Government Contract Industry Business Manager with 30 years of experience in program execution, financial analysis, and process improvements. She will be leading Varen in financial and management support while identifying opportunities for greater efficiency. Beth was formerly the Corporate Business Management Director at KeyW. Several of the Virginia Varen employees took a break from their workday to share lunch with members of the Corporate office at WildFire in Tyson’s Corner, Virginia. As of the end of November, Varen Technologies moved to 6708 Alexander Bell Drive, Suite 200, Columbia, MD 21046. Our contact numbers remain the same as before. See our Contact page for Google Map directions. This structured improvement program allows us the opportunity to consistently document and evaluate processes to continually implement quality improvements. Varen is very happy to have some interns back again this summer! Pictured are three of our interns who are rising seniors at The University of Maryland. They are working hard on various software development tasks this summer. We are excited for them to continue to expand their knowledge in the Computer Science field. Keep up the good work! Varen participated in the 10th Annual AFCEA CMD Race for Excellence on Saturday, June 10th. This is Varen’s largest charity event of the year and it was such a beautiful day! Team Varen won the Largest Team award and a few of our runners won individual awards for their age groups. Special congratulations go to Hailey Mulville for placing 1st in the overall women’s competition, Chuck Barber for placing 2nd in his age group, and Eleanor Metakes for placing 3rd in her age group! From April 18th to 20th, Varen hosted our first Amazon AWS in house training event. The course, Developing on AWS, was targeted at helping the 16 Varen developers that attended in obtaining their AWS Associated Developer certification. Topics covered during the training included interaction with the AWS SDK, utilizing the Amazon DynamoDB, and ElastiCache for application scalability. The information of each topic covered was reinforced with intense hands on labs. Feedback from the participants was that the course was fast paced, packed with a lot of great information, and will be extremely useful in obtaining their certification. In exchange for receiving the training, each participant agreed to tackle the challenge of obtaining that certification within the next 60 days. We wish them all the best of luck, but there is no doubt that they will all be successful. 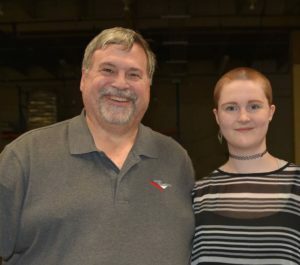 This past summer Varen started an Intern Program to allow college students an opportunity to gain experience that our government customers are looking for while we also teach them other useful things related to the industry such as how the contracting world works, how to interview well, etc. We presented our interns with a challenge and asked them to devise a solution. Once completed this solution was transferred and integrated into a customer development environment. The program was a huge success for the students and Varen will offer it again next year. 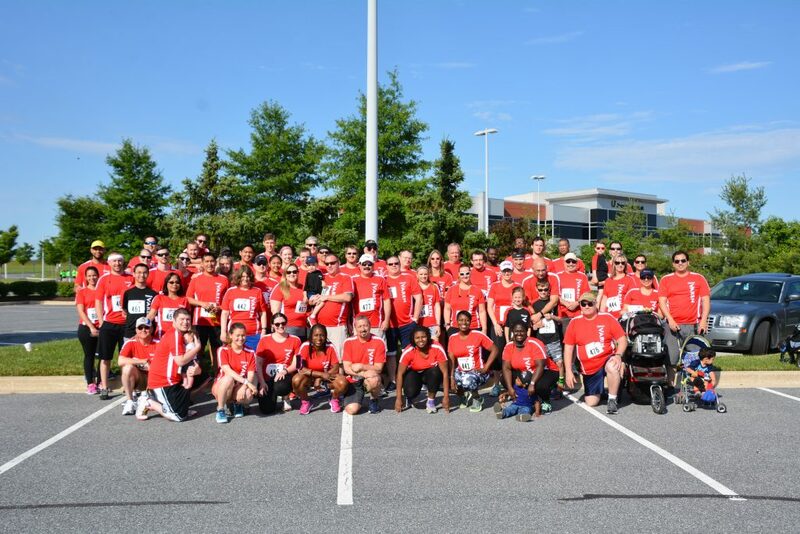 Varen participated in the 9th Annual AFCEA Central Maryland Race for Excellence: 5K & 1 Mile Fun Run in its efforts to raise money for STEM scholarships. Team Varen won the Largest Team award and a few of our runners won individual awards for their age groups as well. Varen also participated in the annual 24 Hours of Booty, held Saturday, August 20th, 2:00pm to Sunday, August 21st, 2:00pm. The monies raised were in support of the LiveStrong Foundation and the Ulman Cancer Fund (UCF). The UCF’s mission is to support, educate and connect young adults affected by cancer so that no young adult fights cancer alone. Varen Technologies announced that it has won as one of the small business winners on the Defense Intelligence Agency Enhanced Solutions for the Information Technology Enterprise (E-SITE). The E-SITE contract vehicle is an indefinite-delivery/indefinite-quantity (IDIQ), multiple-award contract to 25 large businesses and 25 small businesses to support information technology requirements across the defense intelligence enterprise and the greater intelligence community. Varen Technologies was one of the small business winners. The contract will run through December 2020. Varen Technologies Inc has been awarded a 2014 Top Workplaces honor by The Baltimore Sun (for a 3rd consecutive year). In its third annual survey, The Baltimore Sun’s Top Workplaces list spotlights private, public, nonprofit and government agencies with the highest ratings from their employees in a survey conducted by Workplace Dynamics.